I’m ashamed to say that while I know OF Cinco de Mayo, I don’t know anything about it nor have I ever celebrated it. 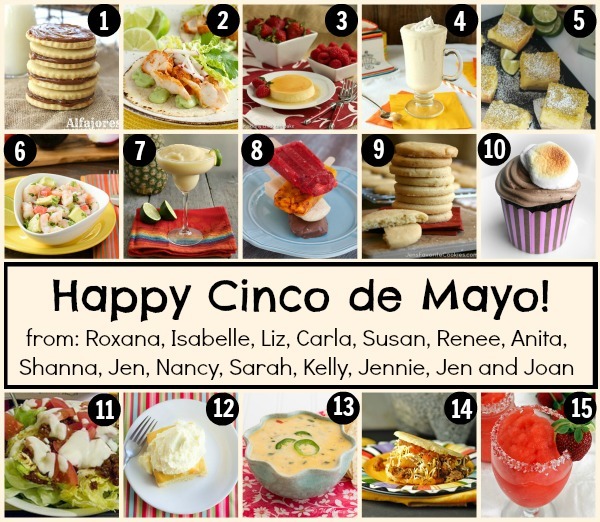 So what’s a girl who’s participating in a Cinco de Mayo food blogger party to do? Consult Wikipedia of course! Thank you anonymous internet writers! Jen of Jen’s Favourite Cookies is our fearless leader and she put together another rocking collage of all our dishes. I am a huge fan of Mexican chocolate. When I went to Mexico for the first time in February 2012, I stocked up on pure Mexican vanilla extract (sadly, it’s almost gone but a coworker is going there in a few weeks and will replenish my stores – whew!). More importantly, I had real Mexican hot chocolate and it was amazing. Life changing. So when it came time to think about what I wanted to make for this Cinco de Mayo celebration, my mind immediately went there. 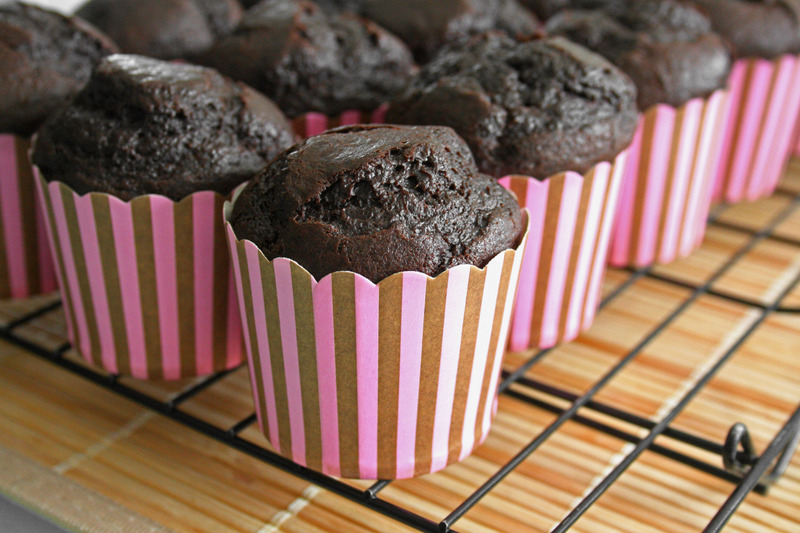 Preheat your oven to 350 degrees F. Line a muffin tin with paper liners or grease the cups if you’re not using liners. In a large bowl, sift together the flour and cocoa powder. Whisk in the sugar, baking soda, baking powder, salt, cinnamon, chili powder and cayenne pepper. In another large bowl, whisk together the vegetable oil, eggs, vanilla, sour cream and coffee. Add the wet to the dry ingredients and stir until well combined, with no streaks of flour visible. Divide evenly into prepared pans. I made 18 cupcakes from my batter. Don’t overfill the cups as I did (you could probably get two dozen good sized cupcakes from this recipe) – my cupcakes rose far too high over the tops of the liners. I’d recommend filling the cups only halfway so that you have a nice flat top to frost. I ended up cutting the domed tops off to make a flat surface. 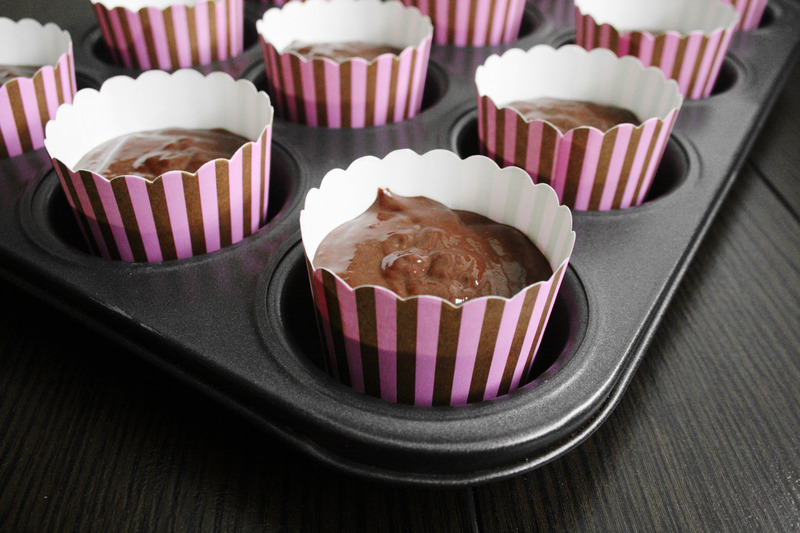 Bake for 15-20 minutes or until a cake tester comes cleanly out of the center of a cupcake. Cool cupcakes on a wire rack completely before frosting. I actually ran out of dark chocolate (my chocolate of choice when baking) so I had to use semi-sweet chocolate chips. Whatever chocolate you use, heat it in the microwave for 20 second intervals until it’s melted (be careful not to burn it). Set it aside to cool a bit. Cream the butter in a large bowl using a hand mixer or in the bowl of your stand mixer on high speed until light and fluffy. Add the sugar 1/2 cup at a time and mix until blended. Add in the melted chocolate and spices. Beat on high until fully incorporated. Taste and adjust the spices and/or sugar if necessary. 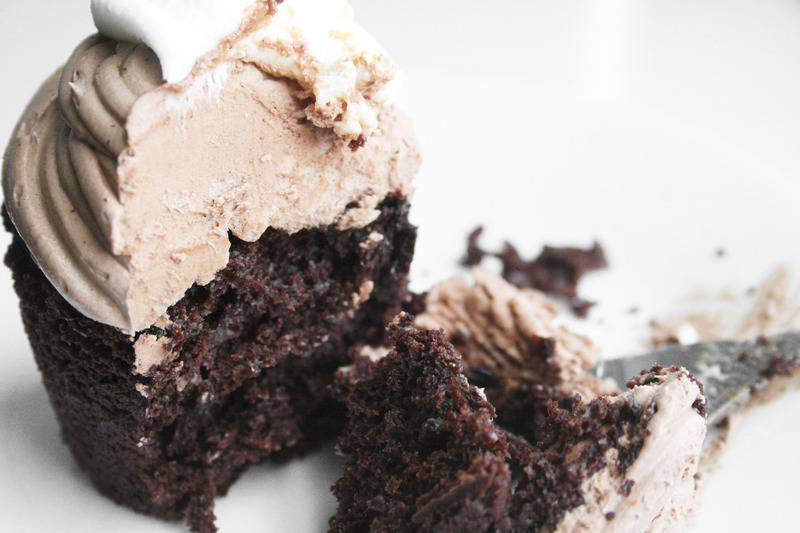 This made a lot of frosting – more than enough to frost my 18 cupcakes. It’ll certainly be enough for 2 dozen cupcakes. I’d recommend placing the frosting in the fridge for 20-30 minutes to allow it to firm for easier frosting if you’re using a piping bag as I did. 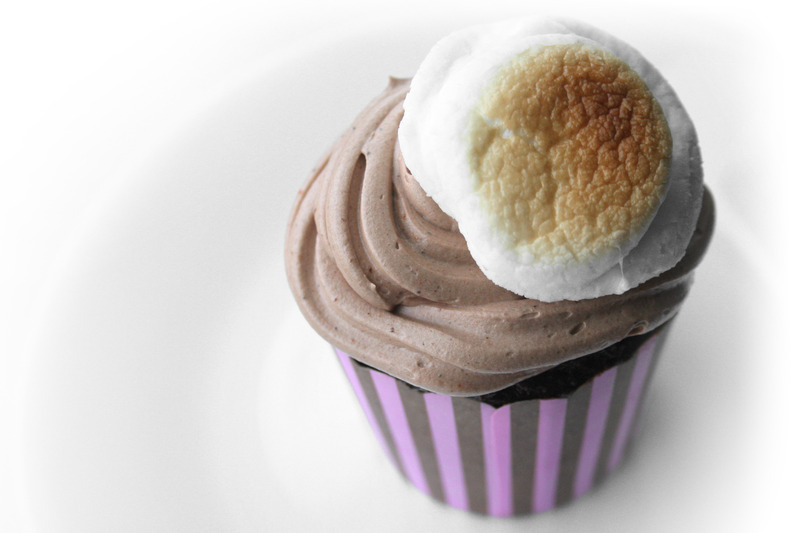 For the marshmallows, you can use a blow torch to get some nice colour on them or cheat like I did – place them under the broiler of your toaster oven for a couple of minutes. Make sure you don’t leave them in there too long or else you’ll end up with a puddle of marshmallow. Pretty horrific piping job, but at least the marshmallow hid most of it! These cupcakes were deeeeeelicious! They’re super moist and fluffy from the sour cream, there’s a deep, rich flavour from the chocolate, and a nice kick from the spices. 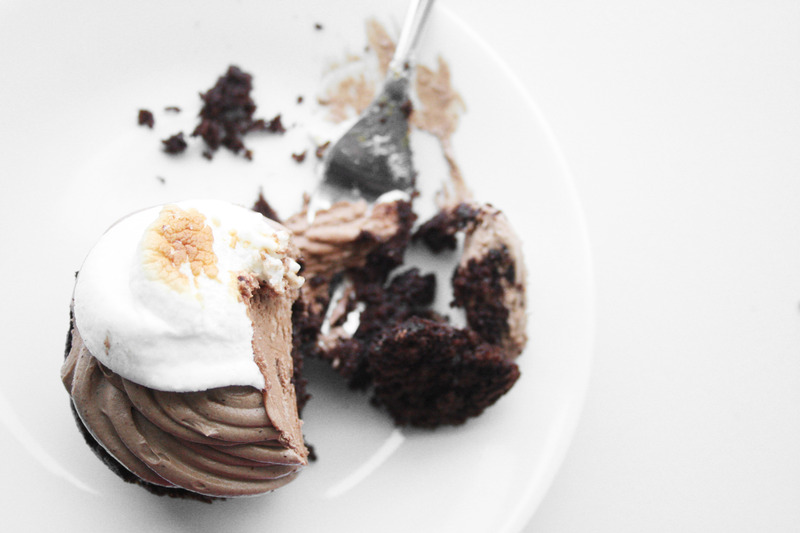 The smooth, creamy buttercream isn’t too sweet and it pairs perfectly with the cake. 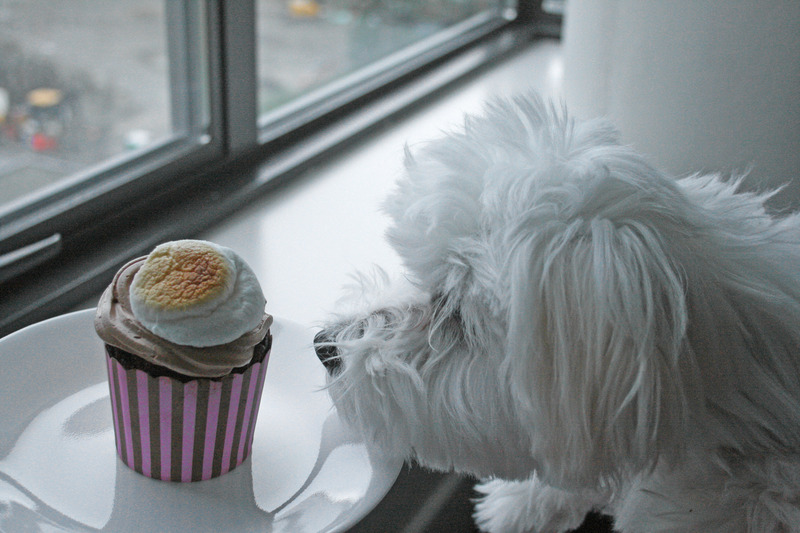 And who doesn’t love marshmallow? This recipe is Abby approved. Hi there. Just wished to question an instant query. Now i’m assembling my own, personal blog site and would choose to know wherever you were given the topic? with this, consequently hopefully you can ok, i’ll recognize. 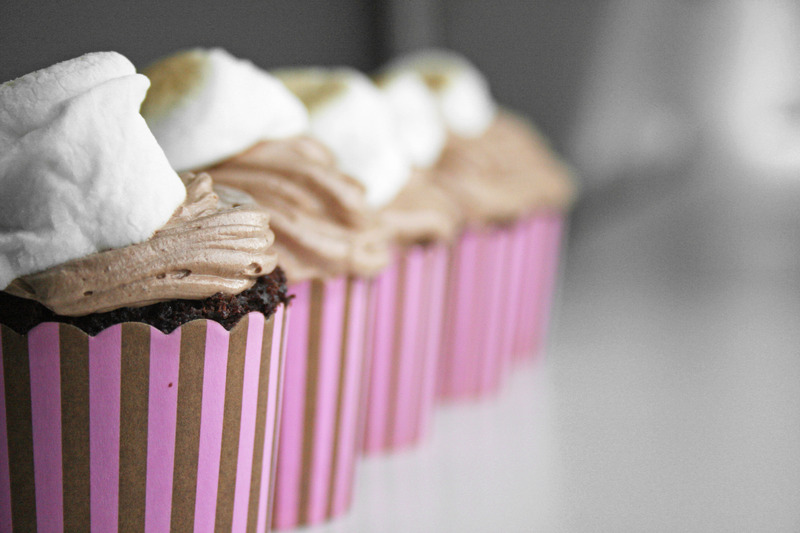 Plan on making these this weekend–they look great! Can I ask where you found those cute liners? love them. I hope you like the cupcakes, Amanda! Let me know how they turn out. I can’t remember where I got the liners…I think it was TJ Maxx or somewhere similar. They’re super adorable, right? How did I miss these?? Thanks for posting to FB! 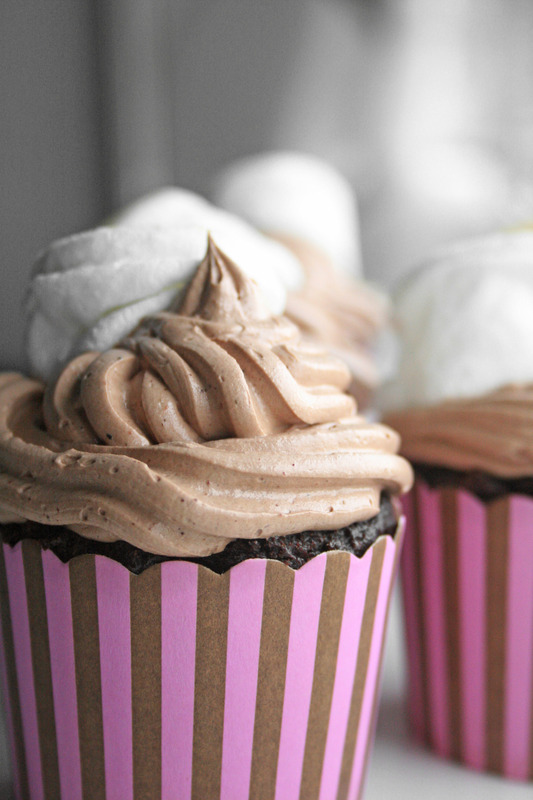 These cupcakes look amazing. 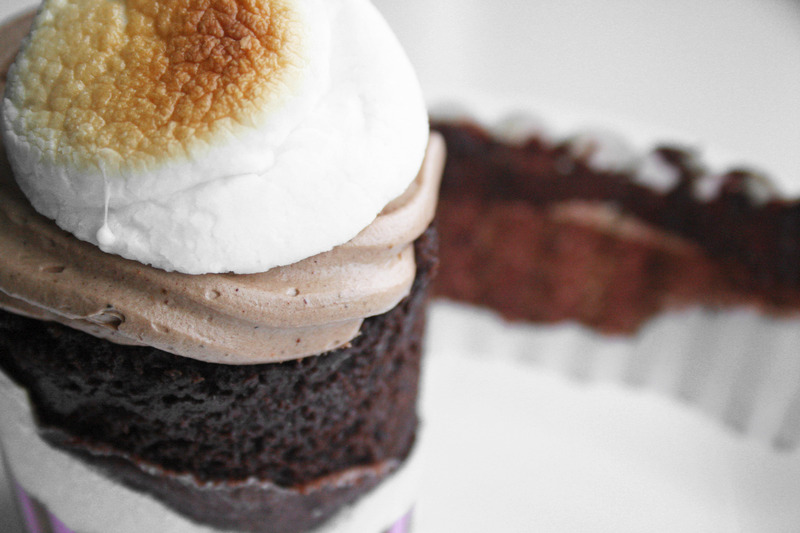 I love Mexican hot chocolate and I can only imagine how delicious the cupcake form will be. Forgot to comment sooner but they turned out great! Moist and flavorful. Our chili powder is Indian-grade (meaning SUPER spicy) so I only used 1/4 tsp, which ended up being a smart move 🙂 Kids and adults all loved them. Thanks for sharing the recipe! Hey Amanda, thanks so much for trying out the recipe and for letting me know how it went. I’m so glad to hear that everyone loved them! to mention that I’ve truly loved browsing yourr blog posts. way of him as nobody else know such exact approximately my problem. that medical professionals do need lots of overall. it is imperative that you opt for a trusted website especially for handmade silver jewelry.